It is no mystery that people that live in States that are prompt to natural disasters are always on the edge thinking about their families. The stress that a natural or humanmade disaster may occur (like a tornado, an out of control fire, a hurricane, an active shooter, or even a flash flood) is strong enough to keep people awake at night. Having an emergency preparedness plan is always a great idea for you and your family. Not because it puts your family at a better place to survive a disaster, but it does take the stress of not being prepared in case something happens. However, the question always is: How can you and your family have an emergency preparedness plan without spending a ton of money? Financial preparedness is also important, and we at Saving For Hope love to give you tips and free resources. At the end of the day, having a tornado shelter inside a house is a wonderful way to be prepared for a tornado, but those shelters come with a hefty price tag that most families can’t afford. However, there are a few ways to improve your family’s preparedness without breaking your budget. Here in this article, you will learn how to have a simple emergency preparedness plan without breaking the bank! The importance of having a plan: one can always go to the extreme when talking about emergency preparedness, and that is what makes this topic so hard for a lot of people. For example, when people think about an emergency plan, they usually start thinking about the worst possible scenario. But the truth is that smaller emergencies that affect small areas are very common. In fact, in the past 10 years, the US has experienced over 1000 small disasters. You don’t have to think full scale zombie apocalypse (that will never happen), when thinking about the importance of an emergency plan. Instead think about smaller, more personal, or regional stuff: like a blizzard that keeps people inside a house for days, or the loss of a job, or a fire that destroys your house, etc. when you think in those terms, it makes the necessity to have a plan more important and valuable. Think small and be ready! Know your location: you need to know where you live, period. Especially if you are new to an area. If you live in an area that is prompt to fires (like people that live in California) you do not need to be ready for a hurricane, you need to be ready for a fire! That simple! Get to know your area, ask questions to the people you know, your neighbors etc. This won’t cost you anything! The more you know about your area, the better prepared you will be! There is another reason why this is important. Knowing your location also means that you know evacuation routes, shelter locations, and a designated place where you and your family should meet in case a disaster happens. Pay attention to details and plan accordingly. Food and water: The federal government recommends that you have at least 3 days of food and water for you and your family, and yes, please include your pets in this part of the plan! You can always buy BOGO offers at your local supermarket to store items away in case of an emergency. This way you can start building up your emergency stock without destroying your budget. Don’t delay, start with simple items (like canned food and water) and add from there little by little. Have fun with it! if you have kids, this is a fantastic way to get them involved and that it wont cost you much. Have a written plan: A written emergency and evacuation plan is always a powerful addition to your family’s preparedness plan, and the best thing is: it’s FREE!! Click To Tweet That is right, free. The family’s emergency plan should have: evacuation routes, list of items to take in case you are evacuated from your home, a family’s local meeting place, local shelter’s numbers and addresses, a list of important phone numbers, important documents like passports, SS cards and insurance documents, 3 days of food and water for each member of the family and a first aid kid. For a more comprehensive list, click Here. Insurance is always a great idea: We will have another post in the future with more details about the importance of insurance, but for now, we can say that having an insurance plan is a fantastic way to protect you, your family and your assets. Protect your biggest investment: No matter if you rent or own, think about the following questions regarding your home: Do you have unique requirements under your current policy? do you have a huge deductible? Or are the disasters in your area covered under your policy? (Like in the case of 87% of Floridians that are not covered for flood! And most don’t even know!). The best way to think about insurance is protection! Protect yourself and your family. Items like term (especially for families that only one person brings income to the house) and disability insurance are important safety nets that allow you to protect what you have. Pick a plan that fits your budget and that gives you enough piece of mind to be ready for the future. Remember, you don’t have to spend a lot of money to be protected in case of an emergency. There you have it. These few tips will allow you and your family to be prepared for an emergency, without getting into debt or having to spend a ton of money for it. Of course, there are always ways to improve your preparedness, if you already have a plan! But if you don’t, this small list can get you started and help you take some of that stress away. Here at Saving For Hope, we always pride ourselves with helping families achieve financial freedom. Every article we produce always has that intent. That is why it is important for us to help you be prepared but also be frugal and financially savvy. You don’t have to spend a lot to be ready! It just takes a bit of planning and attention to a few details. 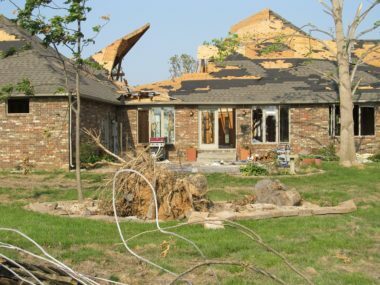 By the way, if you already experienced a natural disaster and your home was affected, we have an article that shows you how to fix your house saving a ton of cash. Enjoy! ← Todas as mãos no convés: desigualdade de riqueza, uma visão bíblica?